Coaching is an empowerment course. During the sessions we’ll focus on the plans God has for you instead of the next thing that gets your attention. You will learn to make life-changing choices, instead of just letting things happen to you. You will reclaim the power of God and His plans of success for your life. Coaching accelerates your progress by providing greater focus, accountability, and awareness of choice. It also concentrates on where you are today and what you are willing to do to get where God desires for you to be tomorrow. Decide You are ready to live your best life ever. Review the available dates and book your ICU Destiny Session. Select the date that works best for you based on the calendar dates available. It’s that easy. 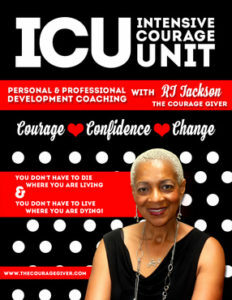 20/20 Vision – $20.00 – The best 20 minutes of your day can be spent with RJ Jackson The Courage Giver. Destiny Session – $75.00 – Your ICU Destiny Session is an initial structured session designed to explore your values, focus area, dreams, fears and goals. This session forms the foundation for future sessions if requested. The session is fifty minutes. Client is responsible for initiating the call. Life Support Session – $ 125.00 – The session is sixty minutes. Client is responsible for initiating the call. 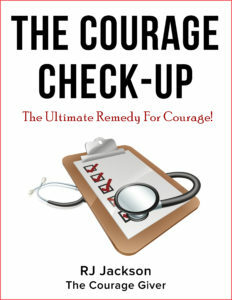 The Courage Check – Up – The session is fifty minutes. Client is responsible for initiating the call. Prices for life coaching services and programs range from $120 to $500 per month, depending on how many sessions and how long they are. Typically people receive life coaching for four (4) hours a month. on for a year or more. You will know when it is time to end. Ask about our financial plan that allows you to get started right away and pay later. As with Anything in Life, What You Put in is What You Get Out! It is Worth the Investment. The Return is LIFE CHANGING! Call me so we can walk, run, and enjoy this journey together.